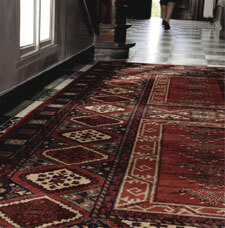 The Afghan rugs collection features classic old world designs in traditional colours. The rugs are made of 100% New Zealand wool and are pleasantly soft to the touch. This collection features a fine and soft wool pile that is designed for maximum durability with the added bonus of great value.